We tend to look at new buildings—especially tall ones—as evidence of a city's economic health (or sickness). 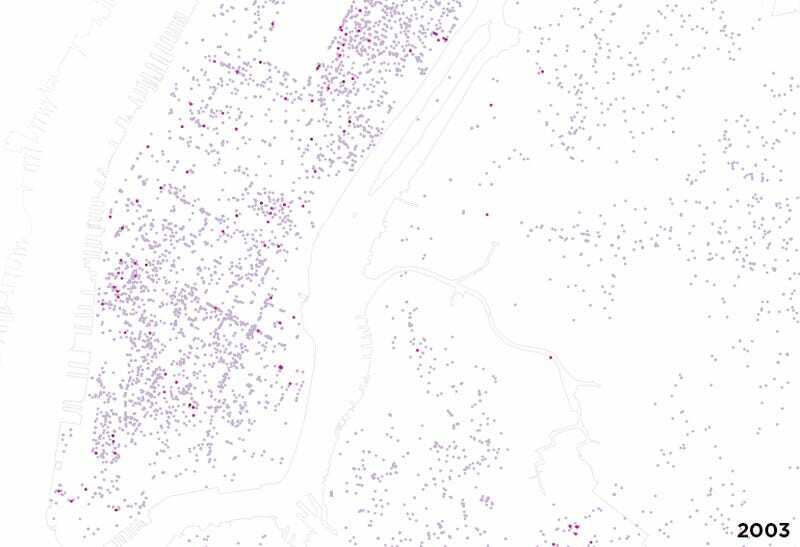 But renovations are a way deeper statistical pool—which is why this new map of a decade of filings from the Department of Buildings is so interesting. That's ten years and billions of dollars in a single image. The interactive map comes courtesy of Sweeten, a startup that matches clients with contractors for renovations in NYC. 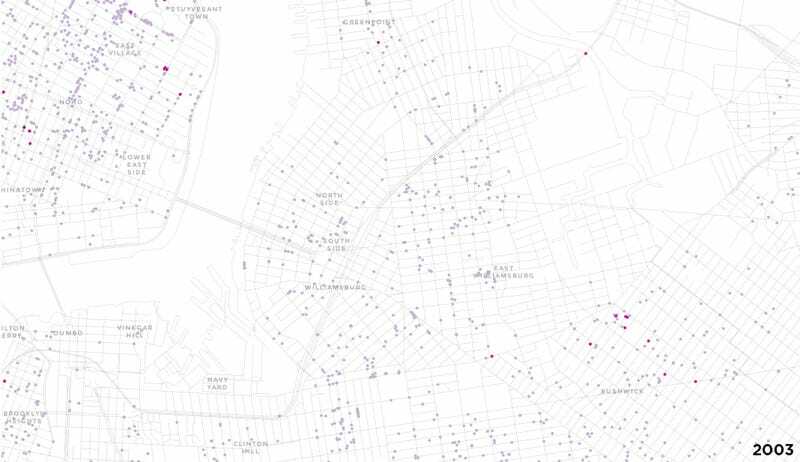 It shows every single renovation file from the Department of Buildings, starting in February 2003 and ending in September of 2013, as a dot—colors are assigned based on budget, ranging from lavender (up to $350k) to mustard (over $1 million).